Finding the right furniture that fits your needs and budget is not easy. 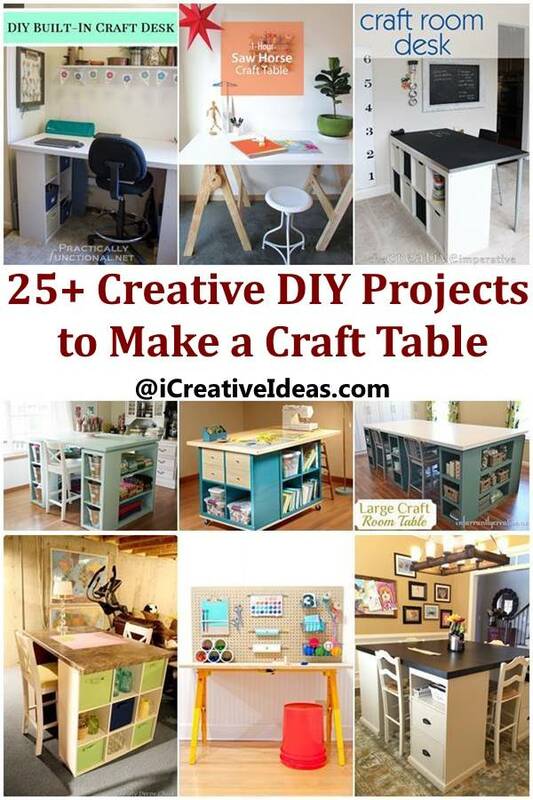 If you like making crafts and need a special area to work on your own craft projects, you may want a craft table or desk. But a store-bought craft desk with good quality can be expensive, ranging from hundreds to even thousands of dollars. Then why not try building one by yourself? We are excited to feature this awesome DIY project to build a customized craft desk. Many people like IKEA furniture items because they are affordable, flexible and can be transformed into another useful piece of furniture. 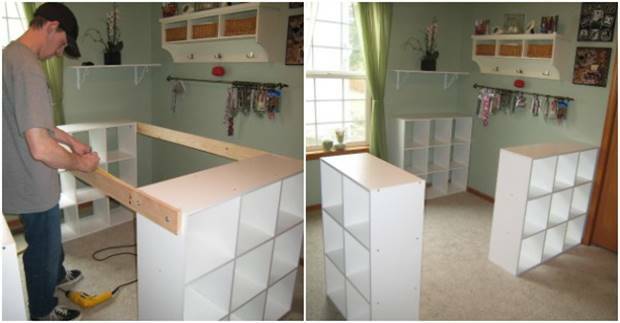 As shown in this project, with three IKEA cube bookshelves and some basic supplies, you can build a craft desk with lots of storage space. It will keep all your craft supplies tidy, organized and easy to access. And the total cost is only $112!